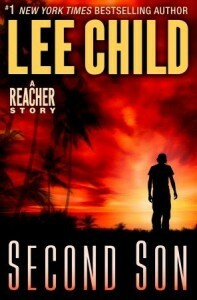 This was a nice introduction to the world of Jack Reacher - a Kindle single about him as a kid of thirteen. I've never read a Lee Child book, or even seen the Tom Cruise movie, but I intend to give the series a go, and this short has more than whetted my appetite. Set in the far east with the Reacher family in a period of continuous relocation due to the father, Stan being active in the marines. The story is pretty thin, but that's to be expected, however I imagine it sets the tone for the series well and, after reading it I have a pretty good idea what to expect from the grown up Jack Reacher novels - namely violence and puzzle solving - although I'm expecting both to ratchet up considerably, as the 'case' here is only borderline criminal.